You have your regular Android Wear functionality with voice controls, notifications, customizable watch faces, 3rd-party apps, 4GB of storage to sync your music for offline playback, a 1.3" 240x240 TFT display with Corning Gorilla Glass 3, a 500mAh battery that should last up to 2 days (or 10 hours in training mode), and a MediaTek MT2601 processor. 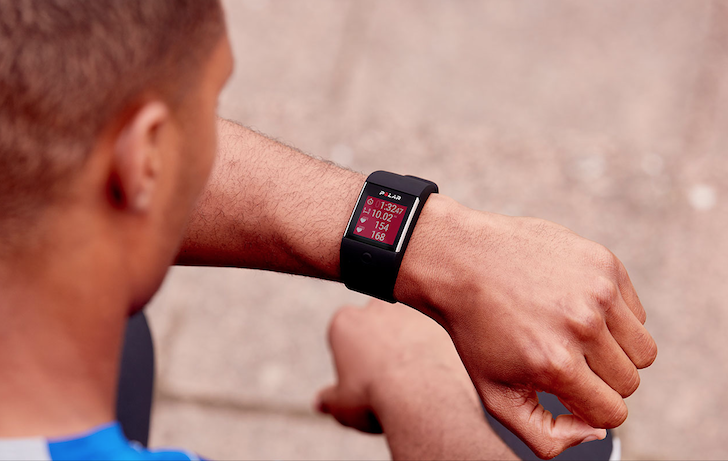 There's no word on an integrated speaker and it doesn't look like there is one. 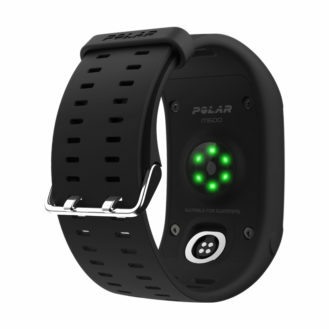 You also have your activity tracker with removable and washable band, accelerometer, integrated GPS, ambient light sensor for automatic brightness adjustment, IPX8 water-resistance that makes it suitable for swimming and being submerged in up to 10 meters of water, and 6-LED optical heart rate sensor that should be more accurate while exercising and require less tightness against your skin to take measurements. 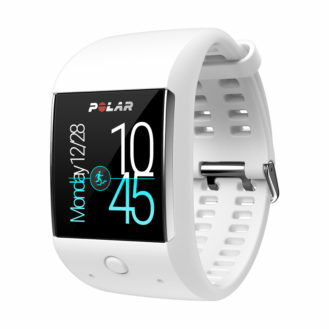 The M600 seems to double as a standalone Polar activity tracker, integrating many of the features of the Loop and other models. There's all-day activity and sleep tracking, customizable profiles for different types of sports, smart coaching to reach your goal faster, different running programs, and full compatibility with the Polar Flow software on computers and Android. The charger is another proprietary design, but it should be the same one as the Polar Loop 2, meaning that Polar is at least trying not to create a new charger for each device it releases (cough like Fitbit cough). 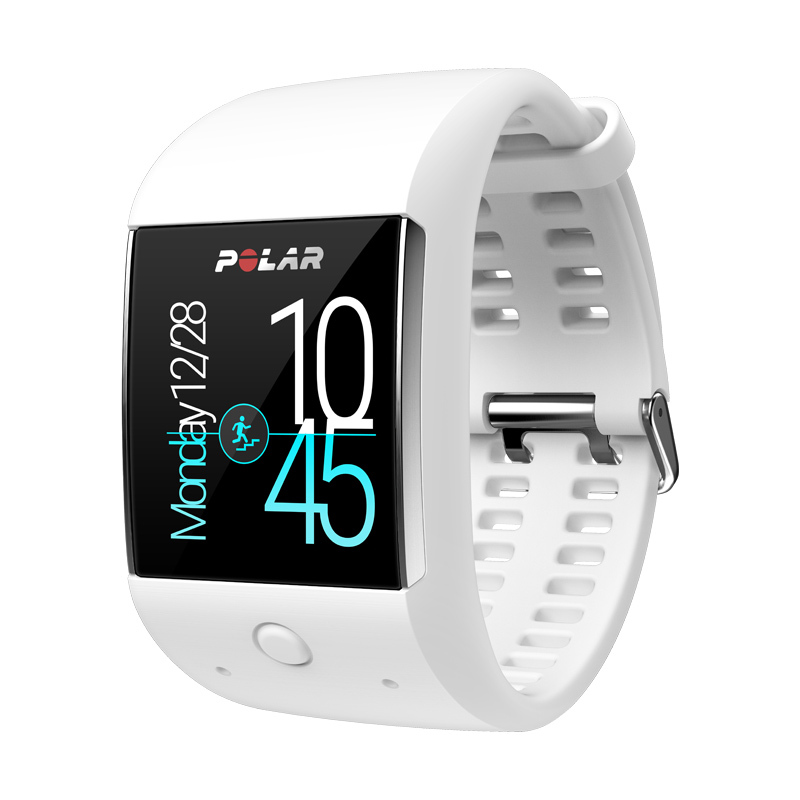 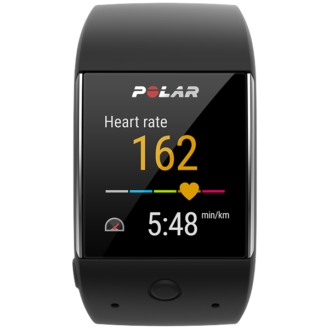 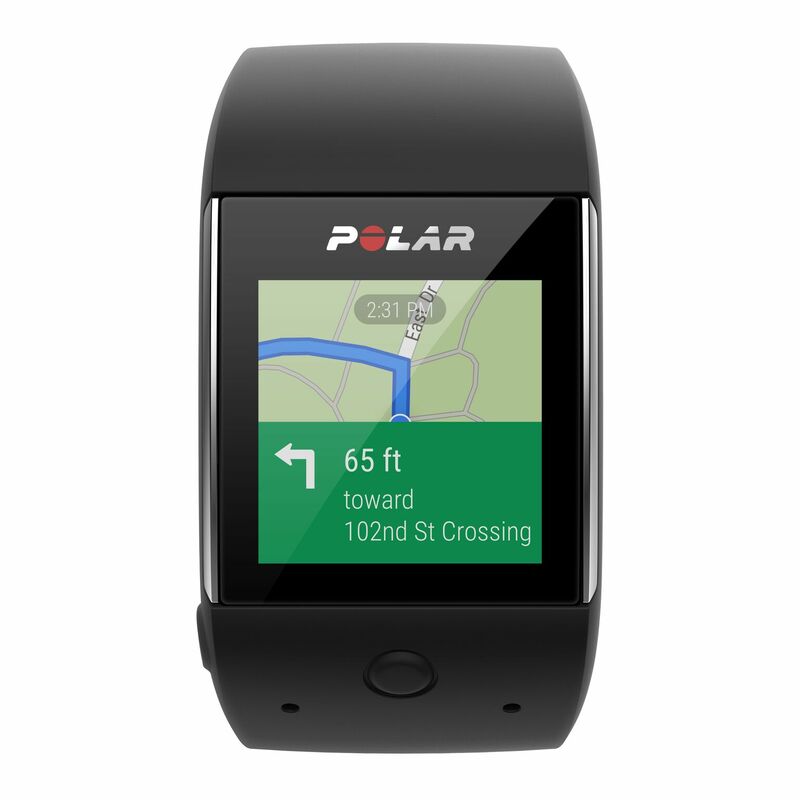 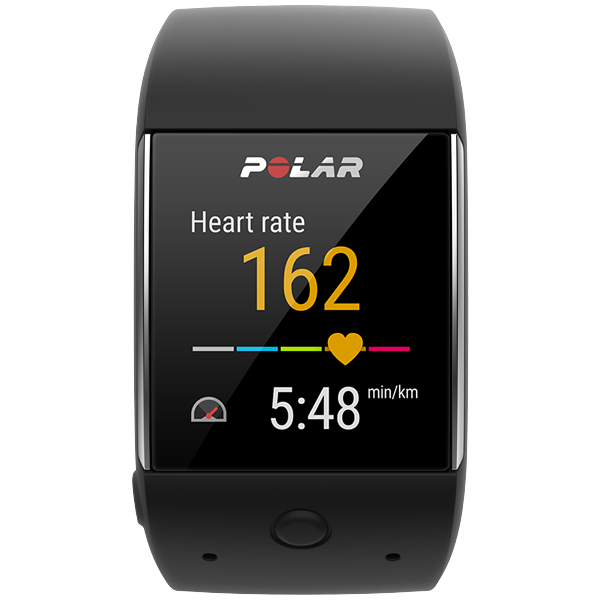 The Polar M600 is going to be available at the end of Q3 for the hefty price of $329 or EUR 349. 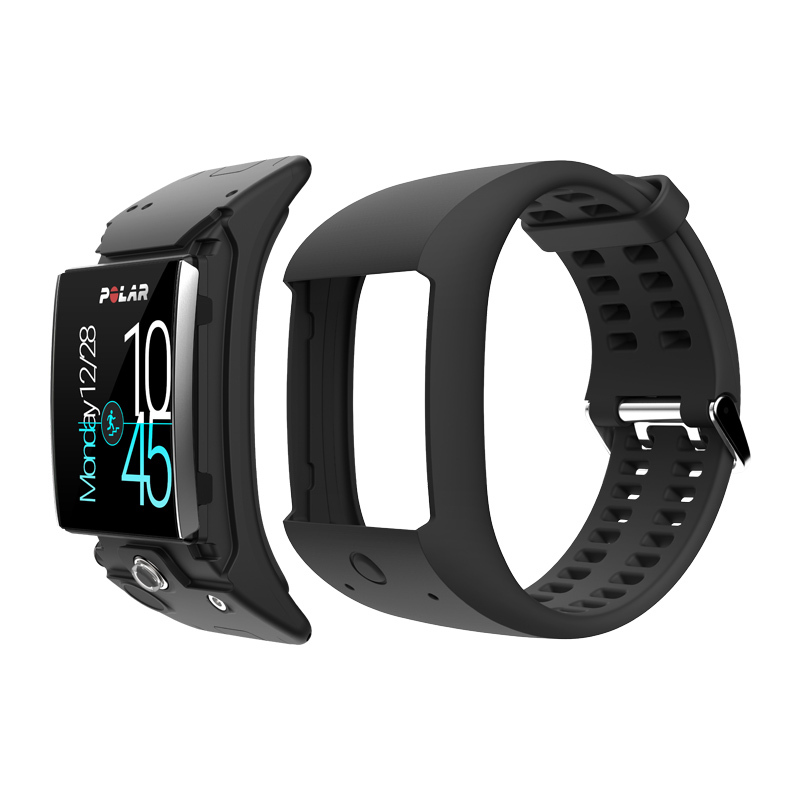 You'll have your choice of white or black, with a red variant coming in later.